This is a short blog post about some of the new products now available at The Tennis Depot. Genesis Spin X Argentum: Launched in June 2009, Genesis Spin X made a large splash in the tennis community. With its unique construction process and good all around package, many players fell in love with the performance afforded by Spin X. 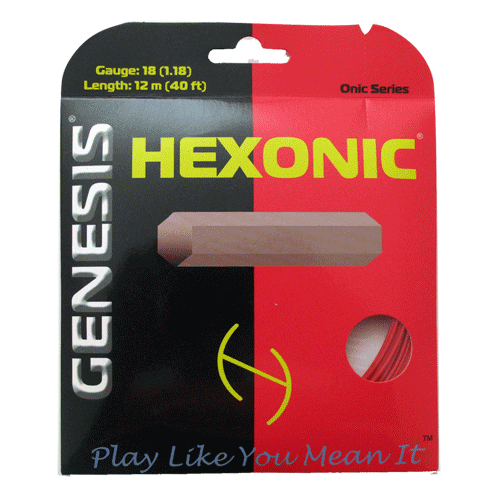 Initially available only in a Bahama Red color, Genesis has now released Spin X in a new color- argentum. Latin for silver, Argentum is a great choice for players who prefer a more neutral look rather than the stylish red. Polyfibre Viper: The softest co-poly string Polyfibre makes, Viper is a high end string with loads of pop and feel. 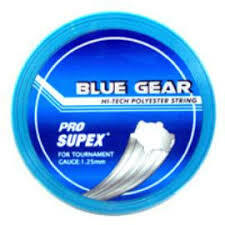 Accompanied with good tension maintenance and very little string movement. A great string for all court players. Prince Syn. Gut Original: Probably one of the best if not the best selling string Prince has every produced. A good string for the club level players. Genesis Stencil Ink: Genesis now offers stencil ink in four colors- black, red, white, and silver. Being the only company to produce both white and silver stencil ink, Genesis has filled a gap with its new colors. Playing with black string? Then give either the white or silver ink a try. Wilson Perforated Pro Overgrip 12 Pack: The same great overgrip now available in a perforated version. Very thin and absorbs sweat extremely well. That is all for this week. Be sure to check our website and blog often for new product information.